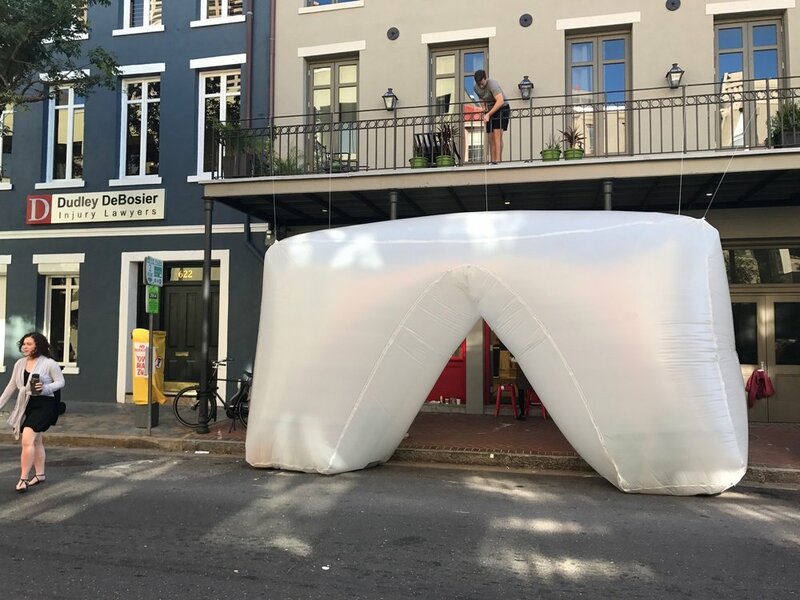 The Arc de Oomph was a (PARK)ing Day 2017 art installation situated in the South Market District of downtown New Orleans that took place on October 6. The event intended to increase exposure and promote engagement with interactive public art. 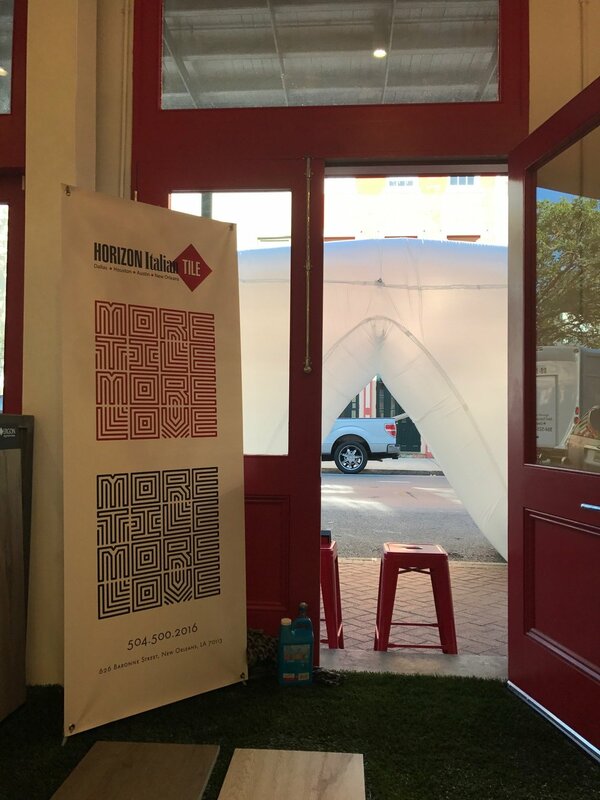 The project was a collaborative effort by design partner Eskew+Dumez+Ripple and sponsor partner Horizon Tile. This year, the parking day team explored the possibilities of pneumatic structures. The arch is a familiar form, usually related to heavy stone or brick construction. 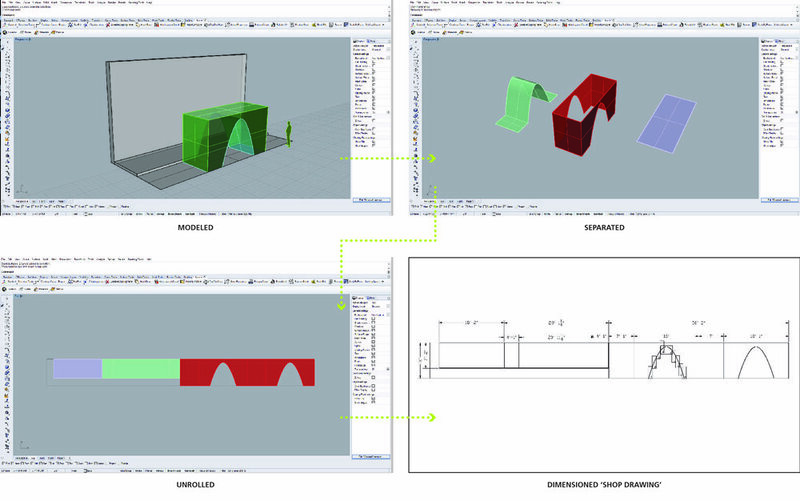 The team chose this shape as a whimsical take on its usual use. Intrigued by this technique's high impact and low material quantity, construction investigations centered around developing connection details, understanding airflow requirements, and providing adequate anchoring on-site. The design was 3d modeled and translated directly onto the construction material in the studio's large flex space, the co-lab. A simple technique of folding, stapling, and taping ensured airtight seals and dimensional accuracy. It was the design team's goal to educate passers-by. As a teaching tool, the installation represents the amount of carbon dioxide (CO2) emitted from one car driving 100 miles. That is roughly one trip to the North Shore and back. It takes 2 trees an entire year to sequester the amount of carbon represented in this inflatable structure. 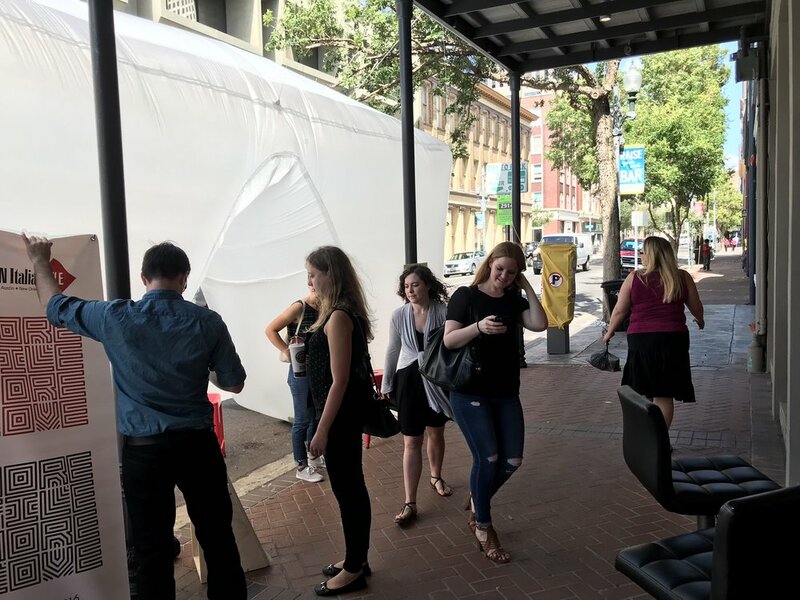 It is the team's hope that this year's installation allowed passers-by an opportunity not only to engage with the public right of way in a novel way, but visualize a measure of vehicle emissions with a lasting image.